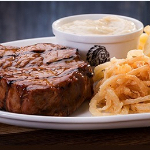 Silver Creek Spur Steak Ranch is a family style restaurant with a taste for life! South Africa’s favourite burgers, ribs and steaks. Our favourite Spur! Great service and fresh food! From burgers to the Basted wings is a true favourite and wonderful waffles!